Glamping with a Cast Iron Teapot Kettle! Are you venturing into the realm of Glamping this year? Glamping is a cross between camping and staying in a hotel really, and seems to be the new way of holidaying if you like the great outdoors but also a few creature comforts! 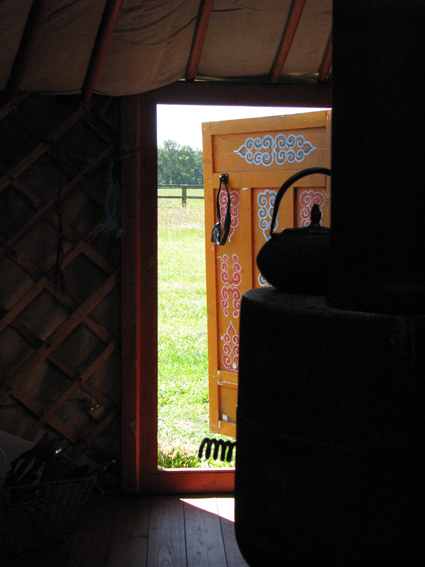 We decided to give it a go and headed for ‘York Yurts’ near York a few summers ago. Yurts are usually fully equipped but knowing there’d be a wood-burning stove in the Yurt and wanting to be a real Mongolian Nomad, I wanted to buy a type of Teaport/kettle before we went so I could make cups of tea off the stove! So I did a bit of research and found that a cast-iron teapot would be just the job for dealing with such high heat, such as on fires or stoves. This means they can be used to boil water as kettles, or as teapots that keep the water hot for a much longer time. Either way sounds useful to me! Cast Iron teapots are very aesthetically pleasing and although they originated from ancient China, this is mostly due to the Japanese adopting them in the 17th century and giving them the name ‘Tetsubin’. Since they were developed into being decorative items, you can really shop for one that suits you, looking at different shapes and colours. I wanted a hobnail design because I thought it would be much more likely to fit onto the surface of a wood-burning stove, as opposed to the ‘flared’ wide and shallow ones you could get. I also thought black looked really authentic. You can also get different sizes but I opted for one with a fairly small capacity for water because they’re heavy little things! Health and Safety moment – the handle gets hot when it’s used as a kettle so I use a tea towel to protect my hands. I’d also be cautious if you have any problems with your hands or with your fine motor skills because of the weight. We really enjoyed our first Glamping experience in the Yurt and had lovely weather for it too. One slight hitch was that because the weather was so nice, it was too hot to want the wood-burner on to make tea inside! 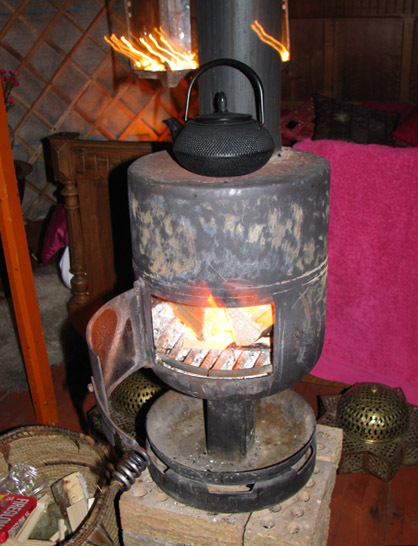 So we decided that it might be better to go Yurting in cooler conditions if you want to make use of the cast iron teapot indoors! Luckily we were allowed fires outside the Yurt, which meant we could still make tea on the fire pit - hurray! Why was Tea Street built?